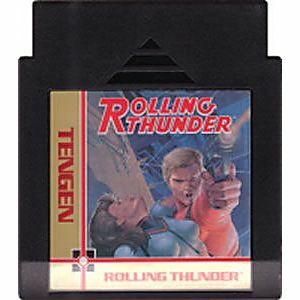 Rolling Thunder original NES Nintendo Game cartridge only - Cleaned Tested and Guaranteed to Work! 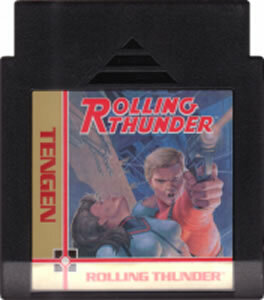 I remember playing this in the Arcade in the late 80's,as a kid,It was awesome.I'm so glad I got to re-visit this classic again,it brings back a lot of great memories.I was impressed how great the condition was,of the cartridge,and how it fired up quickly in my NES. Thanks Lukie Games,keep being awesome!! Bullets and bad guys everywhere! This game is great! 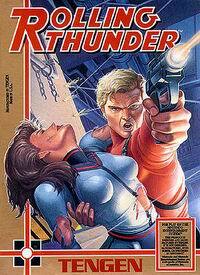 You have to be able to crouch, jump, and outshoot the bad guys without running out of ammunition or time. I recommend this game to anyone who likes a good shooting classic. I received this game yesterday from Lukie Games and it's a blast. Thanks Lukie Games.